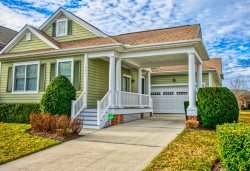 Bear Trap Dunes resort vacation rentals, Coastal Club Resort in Lewes Delaware and Bayside Resort in Selbyville / West Fenwick Island, Bethany Beach, Ocean View and Fenwick Island vacation rentals in Delaware. With amenities such as an indoor pool, two outdoor pools staffed by life guards, beach shuttle, a fitness club, clay and asphalt tennis courts, a multi-sport basketball and volleyball court, a large and clean clubhouse with restaurant and banquet facilities, Bear Trap Dunes not only offers vacation homes, it offers a resort lifestyle making it the ideal location for a family vacation or a getaway golf trip with friends. Explore & book your Bear Trap Dunes Resort accommodations. The Village at Bear Trap Dunes is just three miles to the beach, so guests are only a short ride away from sinking their toes into the sand!serene open spaces, 27 holes of championship golf and a variety of home types to fit any lifestyle, including single-family homes, townhomes and golf villa condominiums. With amenities such as an indoor pool, two outdoor pools, a fitness facility, tennis courts, multi-sport court, a clubhouse with restaurant and banquet facilities and a convenient beach shuttle service, Bear Trap Dunes not only offers vacation homes, it offers a resort lifestyle making it the ideal hot-spot for a family vacation or a getaway golf trip with friends.